Company: Landscape Techniques, Nutley, N.J. The details: A functional living space with bright color and family appeal was the goal for this backyard. The initial site visit presented a small and grade-challenged space with rock formations throughout. The team decided to tier and fill the center of the yard to minimize the slope of the adjoining property. 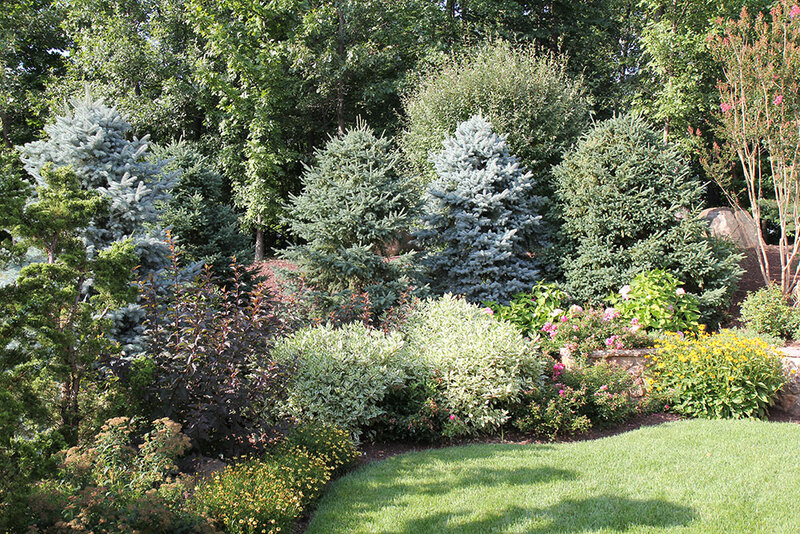 Native trees and expansive lawn areas. The site is located atop a mountain of solid rock, so all water runs; there is no perking capability. All water—including some surface water from adjoining properties—had to be picked up and piped off-site. Although it’s not visible in the finished landscape, the property required the demolition and removal of 100 tons of shot rock. 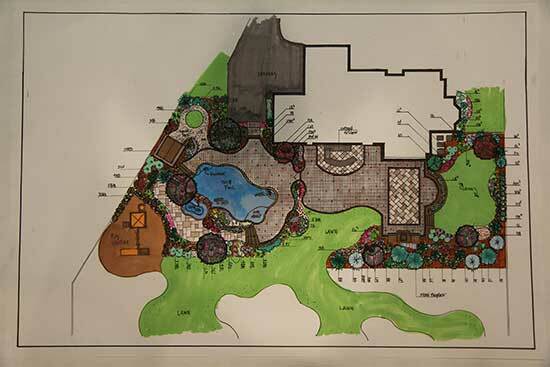 This project earned Landscape Techniques a Grand Award last year from the National Association of Landscape Professionals’ Awards of Excellence program. Through multiple preliminary drawings, a final design was chosen that addressed all the needs of the family. 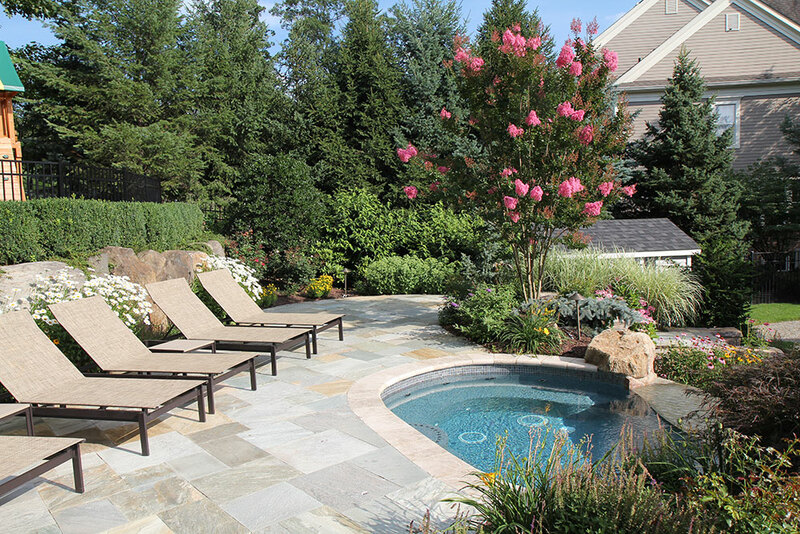 Lush, colorful plantings provide a backdrop for the Norwegian Buff paver upper patio, which offers easy access into the 100-sq.-ft., raised gunite spa. Crews waterproof the retaining wall for the upper patio and raised spa. 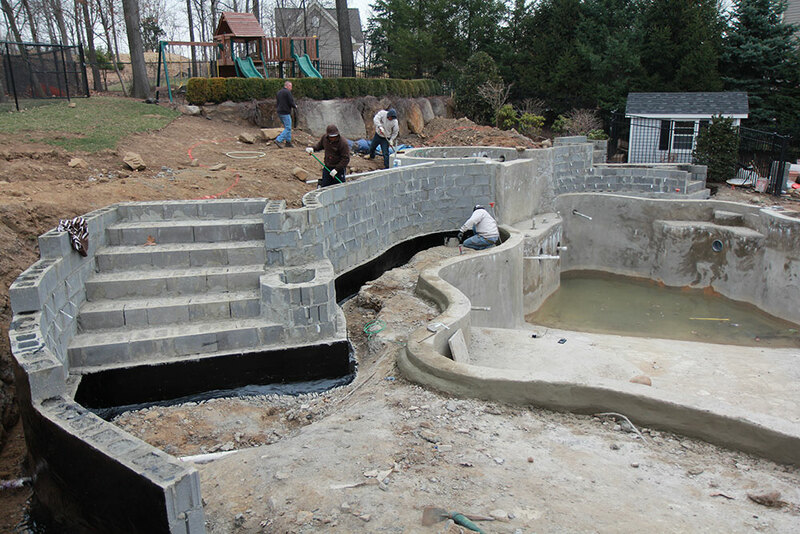 Block retaining walls are poured separately, but structurally tied into the gunite pool structure. 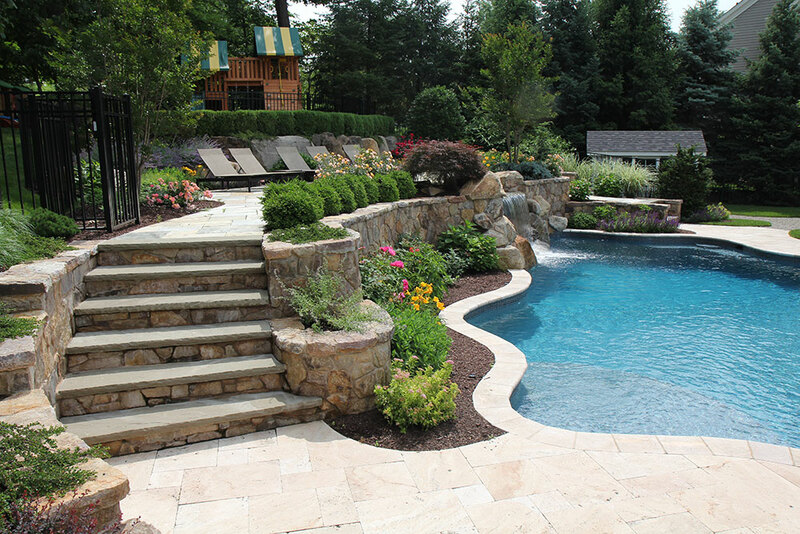 The upper and lower patios are connected by Foxfield veneer-faced steps, capped with kearny stone treads. The 20-ft. retaining wall is also set with the same veneer and caps. 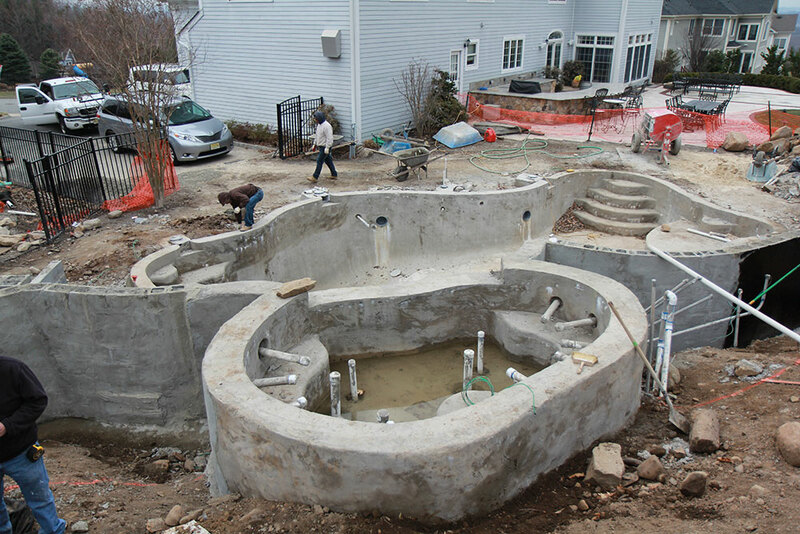 The 700-sq.-ft. gunite pool features 12-in. bullnose coping. It’s framed by an 800-sq-ft. medium river travertine paver decking. 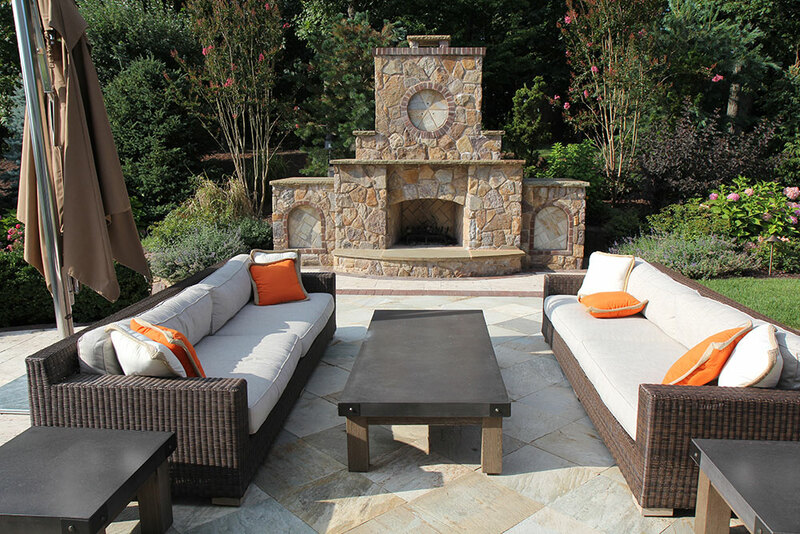 A custom Foxfield veneer-faced fireplace anchors the travertine patio and outdoor living space. 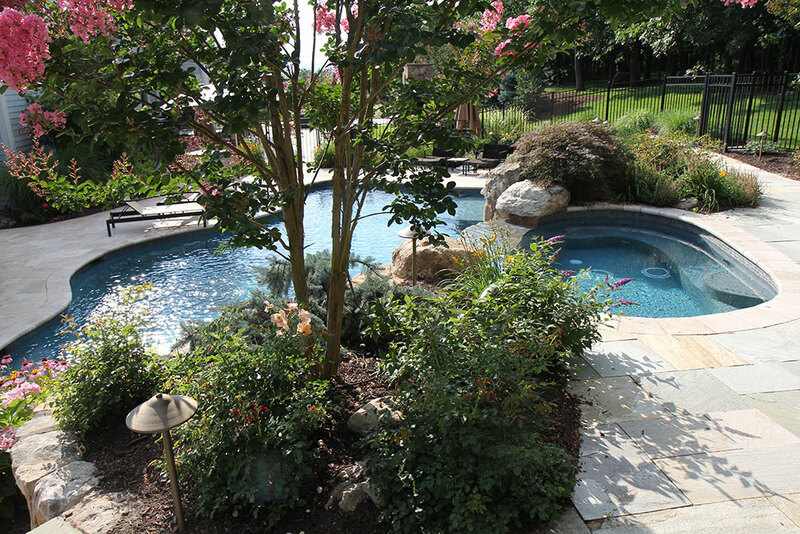 A raised, eight-person spa is surrounded by dense, vibrant plantings featuring annuals, perennials and native shrubbery. The lawn draws your eye from the outdoor living space across the property to the children’s play area in the upper yard. 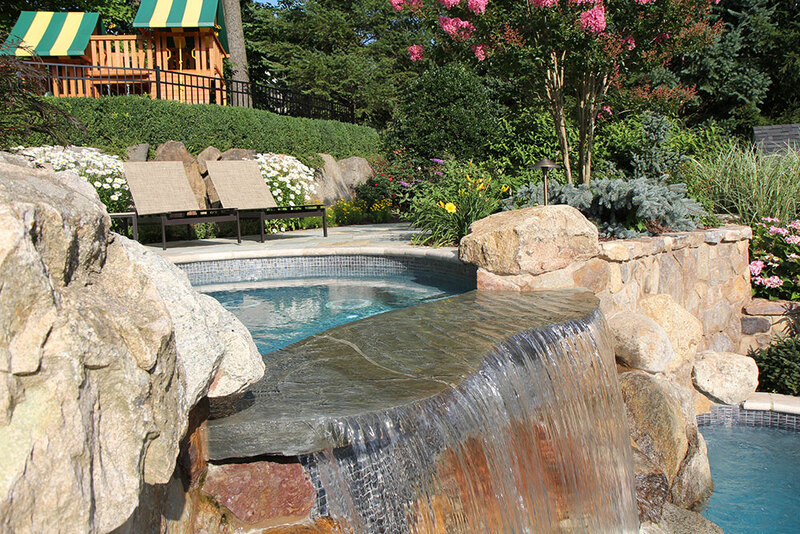 An 8-ft. kearny stone lets water flow into the pool below. Dense, lush plantings provide a natural screen — offering privacy without sacrificing aesthetics. 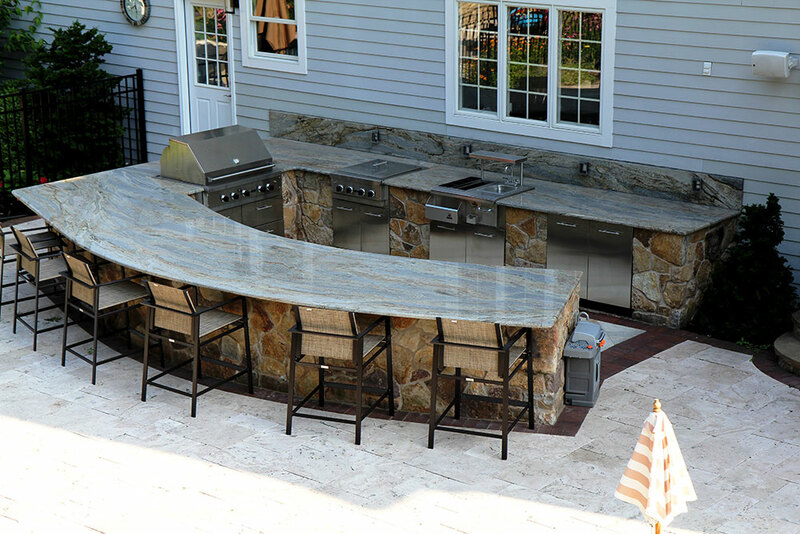 The custom outdoor kitchen seats six at the large granite counter. Both the island and workspace are faced with Foxfield veneer stone. 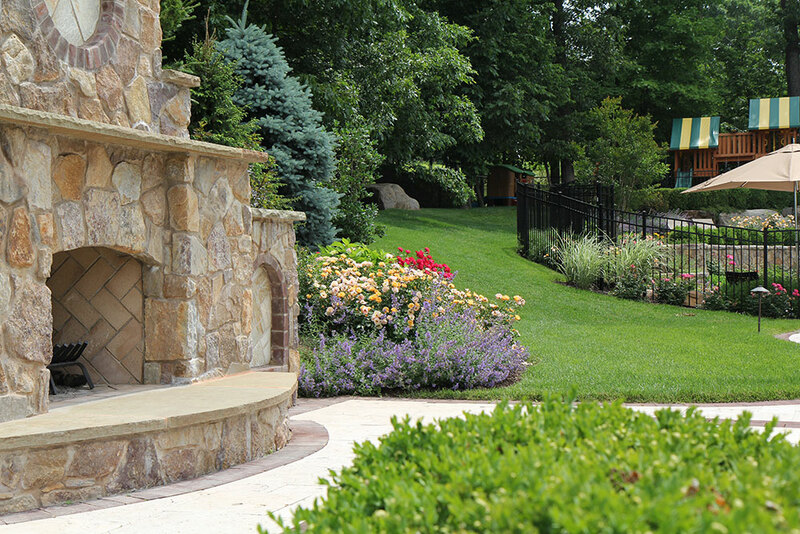 The colors and textures of the plantings were chosen to soften the harshness of the stone walls and patio hardscapes. 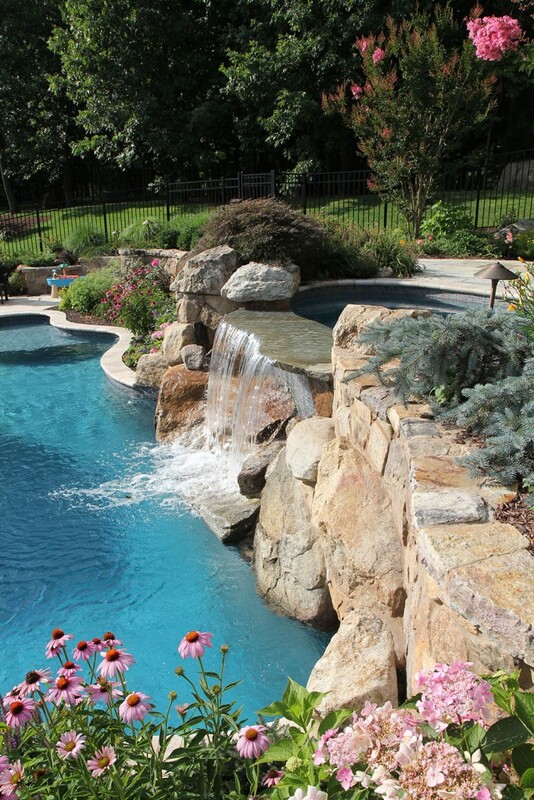 The clean lines of the bullnose travertine coping contrast with the organic flow of the boulder wall and waterfall.